It’s a whole new year! 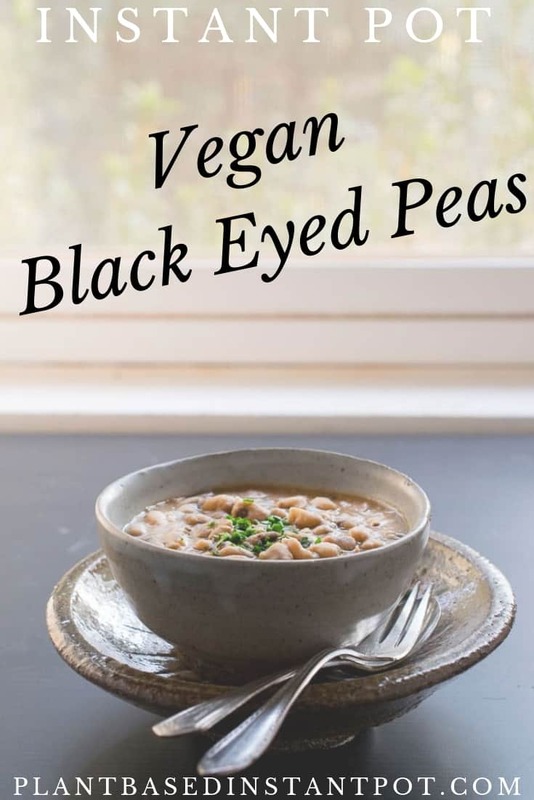 I’m looking forward to the new year and ringing it in with some Instant Pot Black Eyed Peas. 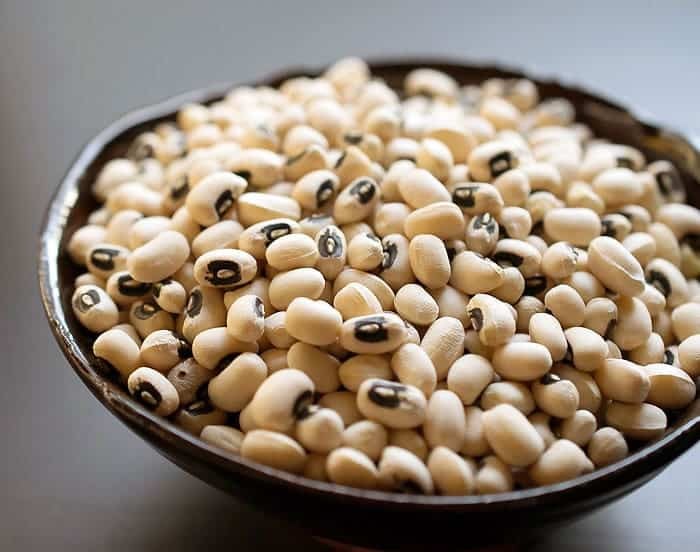 If you don’t know, us southerners think eating black-eyed peas on New Year’s Day fills up our year with luck! What’s the Deal with Eating Black-Eyed Peas on New Year’s Day? We think that eating black-eyed peas brings luck into the coming year. People in the southern US eat cooked collard greens too. They are thought to attract money in the new year. You can even make a dish of Hopping John which has black-eyed peas and rice. I like to chop up collard greens and add them in too. Don’t You Have to Soak Black-Eyed Peas? Because they are in the quick-cooking bean category, soaking isn’t needed to speed up cooking time. Of course if you soak because you have digestive issues, you can still soak them. However, you’ll need to reduce the cooking liquid and cooking time. 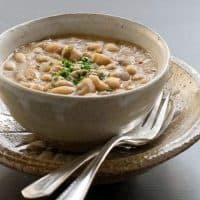 What is the Cooking Time of Black-Eyed Peas in the Instant Pot? Some people cook black-eyed peas as little as 15 minutes on high. Why do I cook these 25 minutes? I want these beans to be extra creamy and the extra cooking time breaks down the beans to create the texture I was looking for. 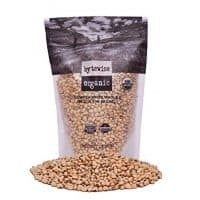 This is NOT the time to cook black-eyed peas for them to be whole and used in salads or other dishes. 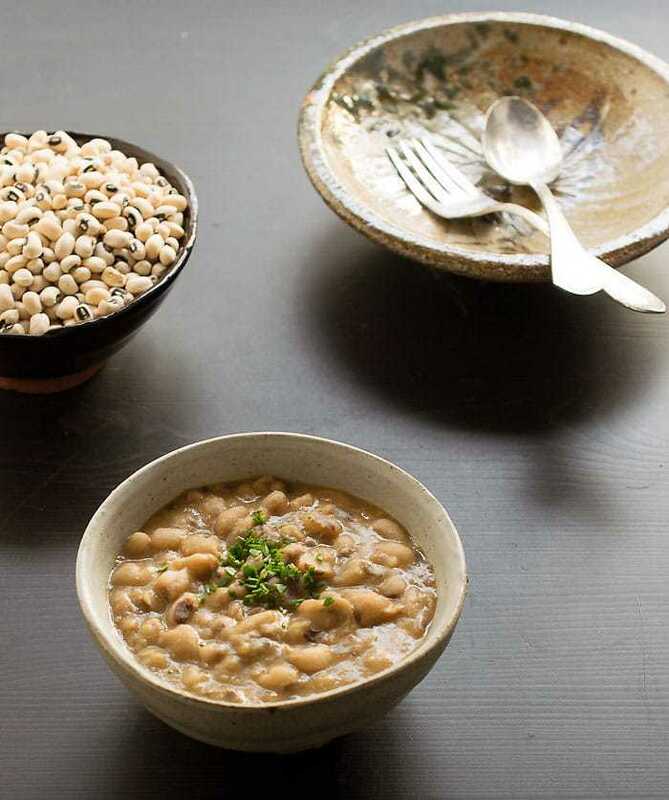 Celebrate New Year's Day with these healthy black-eyed peas. Southerners eat them for luck, but you can eat them just because they are healthy and delicious! Use the sauté setting over normal, or medium heat, and heat the water. Saute the onion until they become transparent, and add more water as needed. Then add the garlic, smoked paprika and liquid smoke. Sauté a minute more. Add the black-eyed peas, water, and bouillon, then put the lid on and make sure that the vent is sealed. Cook on manual setting at high pressure and set for 25 minutes. Allow the pressure to release naturally. 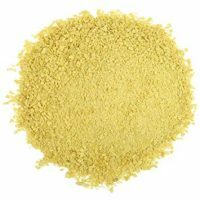 Stir in the nutritional yeast, salt, and pepper, then serve. 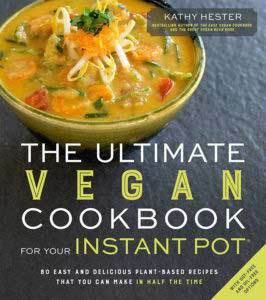 How Can You Add a Smoke Flavor to Vegan and Plant Based Food? 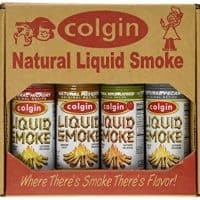 Liquid smoke is my favorite way to add old fashioned smoky flavor. While you might think it’s chemicals or artificially flavored, that’s not the case. It’s actually condensation from a fire, so it’s all natural. Smoked paprika is another smokey addition that adds a great flavor to beans, stews, and more. I often use both together, like in this recipe, but you can always just use one or the other, to suit your taste. Do you have to clean/rinse the black eyed peas first? Yes, I always rinse and look through any dry beans that I cook. So I followed the recipe and added instant smoke, smoked paprika and the nutritional yeast and while it did turn out nice and creamy it was quite bland (and I was generous with the onion and garlic). Like the consistency but would really like more flavor. Haven’t tried over rice but that will likely dilute the flavor even more. Perhaps some diced raw onions over the top will help? These are mild, but I often serve with hot sauce on the side. You could also add in some Cajun spice blend if you want. You could also saute an onion, garlic and some chopped jalepenos and/or add in bouillon cubes. You can really take this recipe or any others and adapt them to suit you. These look and sound excellent! Happy New Year! I plan to soak first. 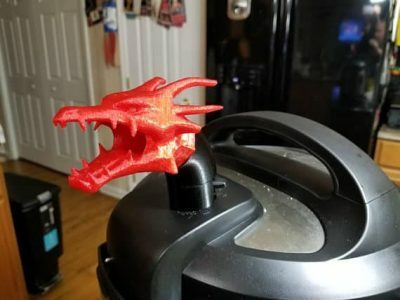 How much liquid should I use and what amount of cooking time? In general the cooking time will be cut in half as would the water, since these are extra creamy I would err on the side of extra time and water.